The orographic characteristics of Galicia, its location and even the discovery of the tomb of the Apostle Santiago are some of the reasons that make the community a point of reference for discovering a monastic heritage of great historical value. 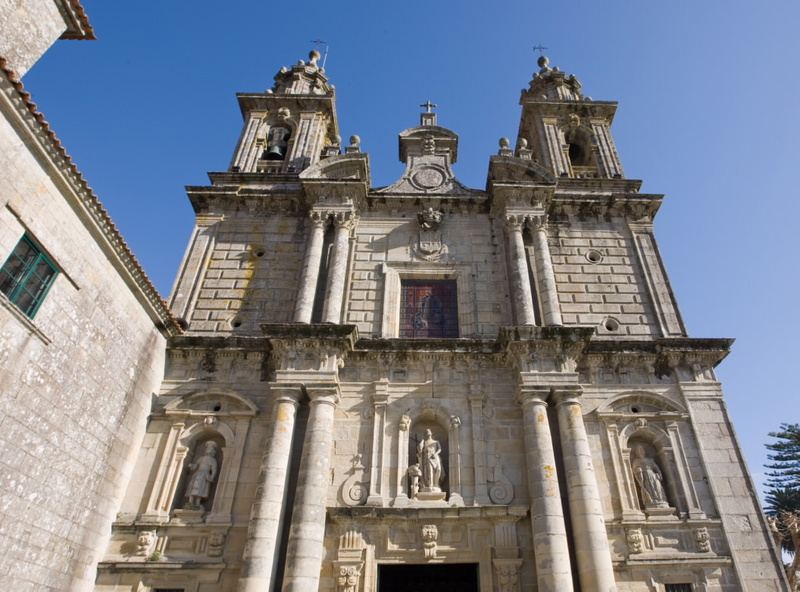 Near Pontevedra is the Mosteiro de San Xoán de Poio, a temple that is estimated to have been built around the 7th century and which, in addition to its own architectural interest, is surrounded by other elements of great interest to visitors. Although the exact year of its creation is not known, it is known that it existed in the year 942 and that its foundation is attributed to San Frutuoso. Abandoned in 1835 by the Benedictine monks, it was later occupied – in 1890 – by the Orden de la Merced, which still runs it today. In the monastic complex, declared a Historic-Artistic Monument, the most outstanding feature is its 17th century church, with an imposing Baroque façade guarded by the figures of San Xoán, San Andrés and Santiago. 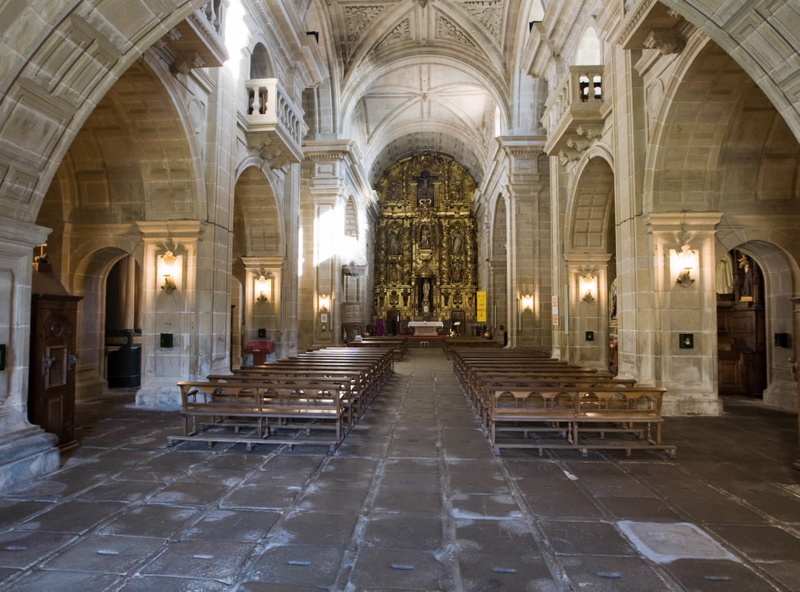 Without detracting from the interior, which in addition to the beauty of its Churrigueresque style altarpiece (a peculiar architectural and decorative style very widespread in Spain in the late seventeenth and early eighteenth centuries), houses the tomb of the venerated Santa Trahamunda, also known as the ‘patron saint’ of the Galician morriña. But without a doubt, one of the most charming corners of the complex is its 16th century cloister, specifically the so-called As Procesións cloister. Once inside, all you have to do is stop and listen carefully and follow the sound of the waterfall from the fountain in the middle. A work by Mateo López (also the architect, together with Ruiz de Pamames, of the monastic church and the cloister), which draws attention to the faces and decorative elements that surround it. On the other hand, the library deserves a special mention. A space that has more than 130,000 copies (many of great value) distributed in no more and no less than sixteen halls. Undoubtedly, a corner that keeps and preserves authentic treasures that extol the identity and memory of Galicia. 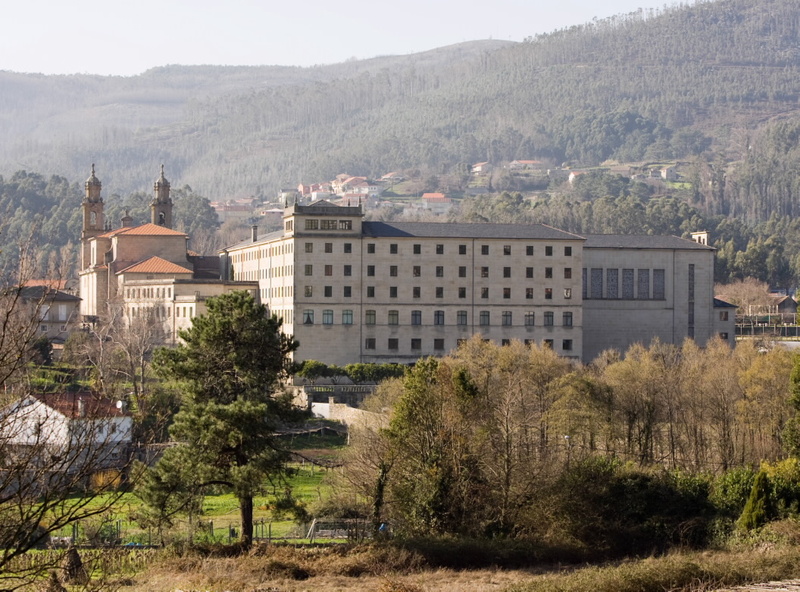 Today, the monastery of Poio opens its doors and allows accommodation in its guesthouse (http://monasteriodepoio.es/) in single, double and triple rooms with the option of breakfast, lunch and/or dinner if desired. 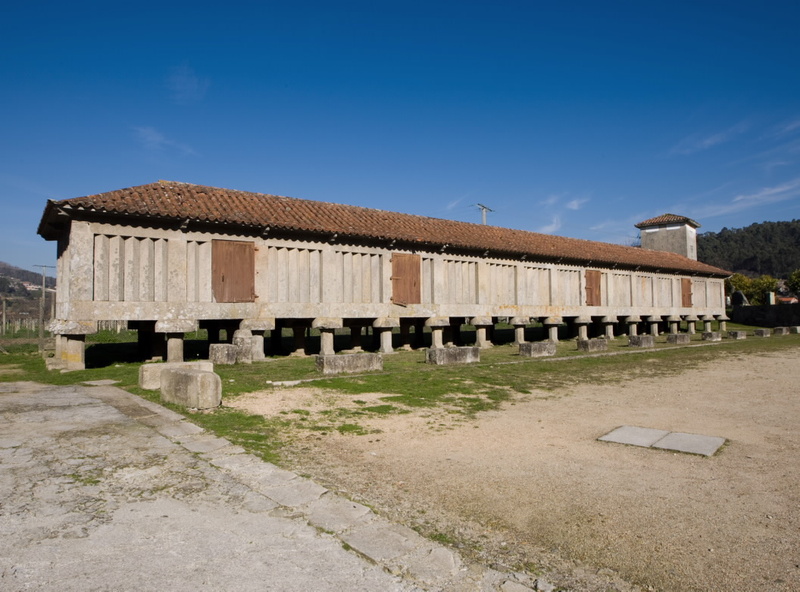 In addition, in one of the monastic fields surrounding the complex, visitors can contemplate one of the longest granaries in Galicia. With 121 meters long on a total of 51 supports, this construction is postulated as another of the attractions of the municipality. However, the spectacular nature of the Monastery of San Xoán de Poio surpasses the tourist’s expectations with just a glance around it. Its location near the Ría de Pontevedra, offers an unparalleled panoramic view of the surroundings of the Illa de Tambo, a unique uninhabited space that witnessed the events that marked the history of the area.